We offer our customers more than thirty years of experience in the application and servicing of industrial equipment. 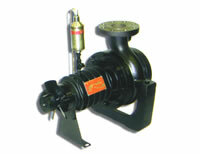 Our warehouse stock of meters, pumps and parts is available for your immediate service requirements. 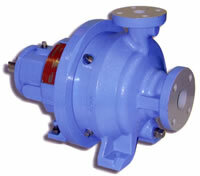 pH Series Pumps are built to ANSI/ASME B73.1 dimensions. Twenty-two sizes are available in ductile iron, 316SS, CD4MCu and Alloy 20 construction. Additional higher metal alloys (Hastelloy-B or -C, Titanium, etc.) are available upon request. pHP Series Pumps feature excellent priming times, maximum interchangeability with the pH Series (ANSI) chemical process pumps, and suction lifts up to 20 feet (6.1 m). Five sizes are available in ductile iron or 316SS construction. 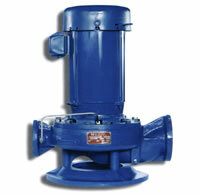 M300 Series Pumps are sealless, chemical process pumps built to ANSI/ASME B73.3 (also B73.1) dimensions. Features include discharge-to discharge circulation, silicon carbide bearings, Samarium cobalt rare earth magnets, and a Hastelloy-C containment shell. Twelve sizes are available in ductile iron or 316SS construction. Other materials of construction are available upon request. Factory testing for operating performance and hydrostatic testing for casting soundness. 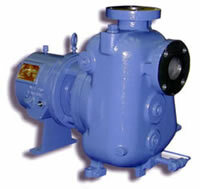 R400/R4000 Series Pumps are the single most applied pump for high temperature heat transfer service. These heavy duty, centerline supported, chemical, petrochemical, and refinery style process pumps are available in twenty-seven sizes in steel and 316SS construction. 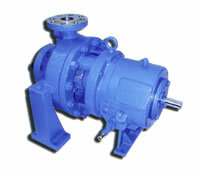 DL Series Pumps are excellent for high temperature chemical process applications. Features include a space saving design and a fully open impeller. Seven sizes are available in ductile iron and 316SS construction. 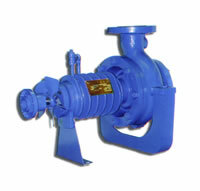 CNV Series Pumps are vertical inline, close-coupled, chemical process pumps. Standard features include an open drip-proof, JMV frame close-coupled motor (extended shaft) for fast availability, a space saving design, and a fully open impeller. Available in ductile iron and 316SS construction. 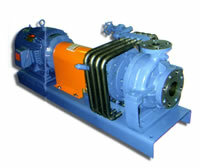 RMA5000 Series Pumps are sealless, air-cooled (or water-cooled), heavy duty process pumps. Features include centerline supported casing, silicon carbide bearings positively held against rotation, Samarium cobalt rare earth magnets, and a Hastelloy-C containment shell. Air fin cooling reduces heat flow from process fluid to magnets. Seventeen sizes are available in steel. 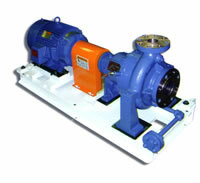 RA2000/3000 Series Pumps are cost effective, hot oil, heat transfer pumps. 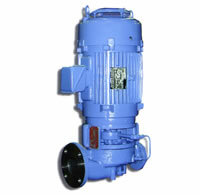 Pumps feature a shaft mounted fan to provide air flow over the cooling fins of the pump. This air-cooled design translates to NO EXTERNAL WATER COOLING REQUIRED for the bearings and mechanical seal. Eleven sizes are available in ductile iron construction. 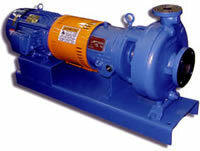 RM5000 Series Pumps are sealless, heavy duty, chemical, petrochemical, and refinery style magnetic drive process pumps. Features include centerline mounted casing, enclosed impeller, discharge-to-discharge recirculation, silicon carbide bearings, Samarium cobalt rare earth magnets, and a Hastelloy-C containment shell. Seventeen sizes are available in steel and 316SS construction. RWA Series Pumps are designed specifically for use with hot water, ethylene glycol and propylene glycol in boiler feed, steam condensate, HVAC and heat transfer applications. 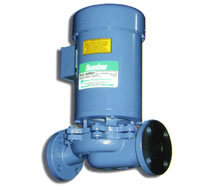 Pumps feature a shaft mounted fan to provide air flow over the cooling fins of the pump. This air-cooled design translates to NO EXTERNAL WATER COOLING REQUIRED for the bearings and mechanical seal. Eight sizes are available in ductile iron construction. R5000 Series Pumps are chemical, petrochemical, and refinery style process pumps built to API 610, Fifth Edition, specifications. Features include heavy duty centerline support, plus a large taper bore seal cavity or jacketed cylindrical stuffing box. Twentyseven sizes are available in steel and 316SS construction.